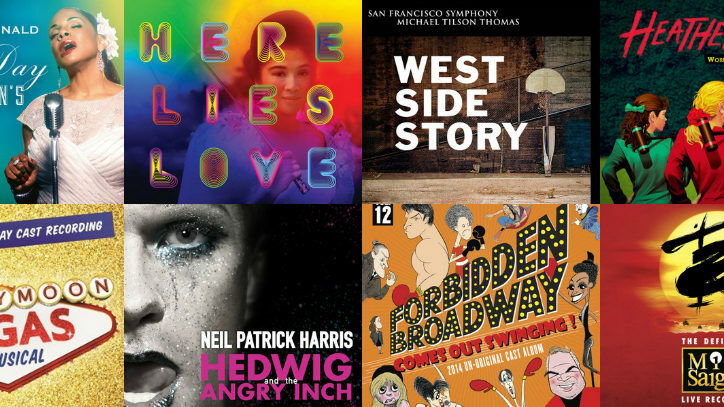 There’s been an amazing array of new theater music released of late, so let’s dive in, starting with original Broadway cast recordings. 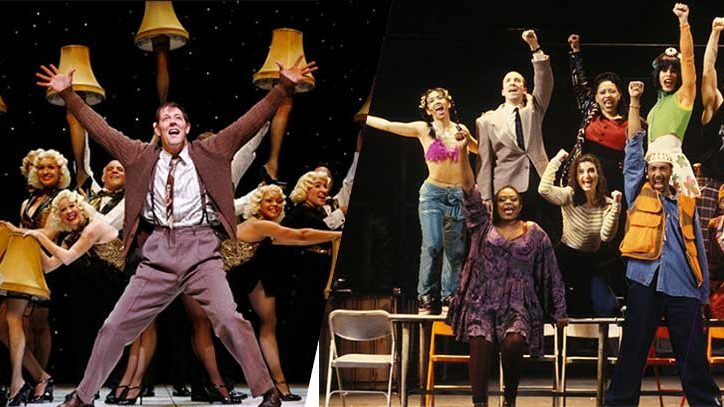 Most of the shows recorded from 2013–2014 were covered in the last two Show Music Direct columns, but there are still two new releases to talk about: albums that preserve two outstanding — and Tony Award–winning — performances. The shows are Hedwig and the Angry Inch and Lady Day at Emerson’s Bar and Grill and the stars are, respectively, Neil Patrick Harris and Audra McDonald. Both play divas who are giving seminal concerts. In Harris’s case, he’s playing a fictional East German transsexual who has come to America and become a puck rock cult figure. As for McDonald, she’s portraying a tragic historical figure, Billie Holiday. On the Atlantic Records Hedwig disc, Harris, so well known from his television work on shows such as How I Met Your Mother, rips into Stephen Trask’s rock score with astonishing tenacity and prowess. He’s matched perfectly by Lena Hall (who also picked up a Tony Award for her performance), who’s playing Hedwig’s transgender friend. Even though a lot of people already have the original Off-Broadway recording of this show in their collections, they will want to have this one on hand too. 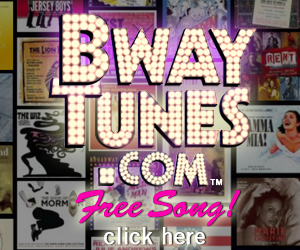 PS Classics’ Lady Day recording of an actual Broadway performance preserves not just the songs that McDonald offered up during the limited engagement of the show, but also all of the show’s dialogue. As you listen, you’ll find that the six-time Tony Award winner has captured Holiday’s signature vocals perfectly, and there are times when it can seem as if you are listening to Holiday herself performing her biggest hits. This two-disc set is decidedly a must-have for any serious musical theater fan’s collection. The third Broadway cast album to talk about is the first for a show from the 2014–2015 season: Jason Robert Brown’s Honeymoon in Vegas (Universal Music). Based on the movie of the same title, this show sounds unlike anything else Brown has written before (Last Five Years, Parade). It’s a big, brash extravaganza that draws on the sound of casino floor shows to great effect, and the numbers are delightfully offered up by the show’s leads, Rob McClure (a Tony nominee for Chaplin), Tony Danza (best known for his work on TV’s Who’s the Boss? and a stage performer from shows including The Iceman Cometh), and Brynn O’Malley (Annie). The album is only available as a digital download or at the theatre right now while the show is in previews; the CD will be out just as the show officially opens in January. 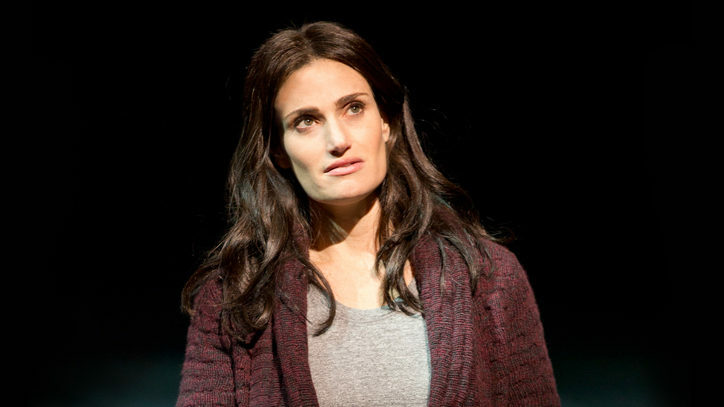 The world of Off-Broadway has been amply represented on disc in recent months. Perhaps the most recognizable title among the releases is Forbidden Broadway Comes Out Swinging (DRG Records). Here, master parodist Gerard Alessandrini lovingly skewers shows ranging from Aladdin to Pippin, as well as stars such as Idina Menzel and Mandy Patinkin. There’s even a loving jab at the television version of The Sound of Music and performers Carrie Underwood and Audra McDonald. As always, and appropriately, the album’s a little wicked (pardon the expression) and a lot of fun. From Ghostlight Records we have a trio of discs that dazzlingly showcase the breadth of songwriting that can be heard in the theater today, starting with Eric Rosen and Matt Sax’s Venice, an invigorating modernization of Shakespeare’s Othello, which featured, among others, Jennifer Damiano (Next to Normal) and Clayborne Elder (Bonnie and Clyde). The score for this show is a fantastic mix of hip-hop, electronica, and pop, and surges with an infectious energy. The same can be said of the cast recording of Love’s Labour’s Lost, another Shakespeare adaptation — this one from Michael Friedman. Since this one is a romantic comedy, it’s little surprise that the tunes here are fizzier (particularly the bubbly “Hey Boys”), but they’re no less impressive in the way in which they fuse musical theater with contemporary sounds. The third release from Ghostlight, A Second Chance, is at the opposite end of the spectrum. In Ted Shen’s thoughtful and moving tuner about a middle-aged man and woman tentatively exploring a romantic relationship, the songs sometimes have a nifty jazz vibe, while at other times they traverse swooping and circuitous melodies that tease — and sometimes taunt — the ear. It’s an exciting debut from a new voice for the theater. You should also consider adding the Off-Broadway cast recording of David Byrne and Fatboy Slim’s Here Lies Love (Nonesuch Records) to your collection. It’s one of the most talked-about shows in New York over the past year, examining the life of Imelda Marcos and fracturing it through the energy and sound of a disco. It’s a great experience in the theater that’s been wonderfully translated onto this two-disc set, and it could very well get you dancing at home. With Tamar of the River (Yellow Sound Label), you’ll discover one of the most unique cast albums of recent memory. For this show that revisits an Old Testament story about a woman attempting to bring peace to a war-torn land, Marisa Michelson and Joshua H. Cohen have written a score that combines tribal rhythms and percussion, Far Eastern sounds, and soaring melodies to exquisite effect. The energizing songs are made all the more powerful thanks to the work of the show’s star, Margot Seibert (who played Adrian in Rocky on Broadway). Check this one out. Beyond these, there are two splendid new recordings of classic shows. New World Records has just released the first-ever complete recording of Jerome Kern and Otto Harbach’s 1933 musical, Roberta, which boasts such standards as “Smoke Gets in Your Eyes” and “Yesterdays.” A remarkably talented transatlantic cast that includes Annalene Beechey, Kim Criswell, and Jason Graae, delivers the well known tunes and little-known gems from this classic with panache. It’s a stunning recording from start to finish. Another complete recording of a classic musical is the San Francisco Symphony’s exceptional West Side Story (SFSMedia). Headlining the cast are Cheyenne Jackson (Fox’s Glee, Finian’s Rainbow on Broadway) and Alexandra Silber (Master Class) as Tony and Maria, respectively. The two are marvelously effective and affecting as the doomed young lovers, and what might impress most is that they capture the youthful impetuousness of the characters even as they deliver the music with crystalline perfection. Their work and the symphony’s combine to make this West Side concert recording feel exceedingly theatrical. There are a couple of new cast recordings from the U.K. that you should bear in mind. The first is Miss Saigon: The Definitive Live Recording (Verve). This one preserves the new production of the Alain Boublil–Claude-Michel Schoenberg musical about at an American GI’s ill-fated romance with a young Vietnamese woman currently running at the Prince Edward Theatre in London. There have been some slight changes to the show (all for the better) and the new leads, Jon Jon Briones (The Engineer) and Eva Noblezada (Kim), are pretty fantastic. And while Saigon is big and splashy, Joseph Alexander and Fiona O’Malley’s Grim: A New Musical is smaller and more intimate. For this show, about what happens when the Grim Reaper falls in love with Cupid, Alexander has penned some tunes that are just as melodious as ones by Richard Rodgers, and O’Malley has written amusing lyrics that have just the right amount of edge to them. Beyond these cast recordings of new shows, Stage Door Records, in its ongoing efforts to bring older shows into the public consciousness, has released a trio of albums that are worth looking into. The most interesting is Tess of the D’urbervilles, based on Thomas Hardy’s novel, bringing it hauntingly to life with a delicate, gossamer score from Stephen Edwards. Stage Door’s release of Swan Esther, which retells the biblical story of a Jewish queen and a Persian king, has a different vibe entirely: This one has an infectious, eclectic pulse that brings to mind shows like Joseph and the Amazing Technicolor Dreamcoat. And, with Worzel Gummidge — The Musical, you’ll find Denis King, Keith Waterhouse, and Willis Hall have written a joyful score to tell a tale about a talking scarecrow and his pals that will appeal to kids of all ages. Beyond these show recordings, there are an additional two (well, three, actually) exceptional compilations of songwriters’ work, starting with Ahrens & Flaherty: Nice Fighting You — A 30th Anniversary Celebration (Broadway Records). Songwriters Stephen Flaherty and Lynn Ahrens threw an anniversary party for themselves with a series of concerts at 54 Below, and this two-disc set captures one of them. It’s filled with songs from their Broadway hits including Once on This Island and Ragtime, along with musicals that premiered Off-Broadway and even their newest, Little Dancer, which is having its premiere through November 30 at the Kennedy Center. It’s a fantastic set that makes you feel like you’re right there at the team’s party as folks such as LaChanze, Liz Callaway, Bobby Steggert, and Rebecca Luker perform. Finally, theater composer Michael Mott has yet to make a name for himself like Flaherty and Ahrens have, but based on his songs in Where the Sky Ends (Broadway Records), it’s difficult not to imagine he will. The songs on this disc run the gamut from bombastic anthems and jazz tunes that sound as if they actually came from the mid–20th century to driving dance numbers that make it hard not to want to just hit the floor. Given how good all of the songs are, it’s little wonder that the likes of Jeremy Jordan (Newsies), Laura Osnes (Cinderella), and Josh Young (Jesus Christ Superstar) are among the artists who are featured on the disc. Further, and this is the second album that was alluded to above, Mott’s versatility has resulted in a second recording: an EP of the same name that features dance remixes of three of his tunes. Both are a terrific way to sample Mott’s musicianship. Beyond these 20 recordings there is a host of theater-related discs from individual vocalists that are worth looking into. You can find coverage of these in a column on AmericanTheaterWeb.com.